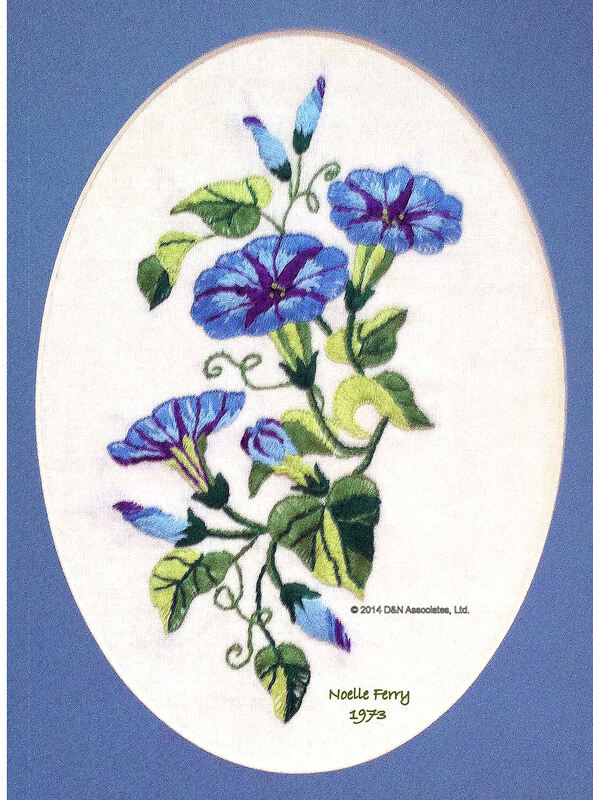 What a surprise when (Fall 2014) I got into a storage box in my craft room and found two place mats that I had stitched the year (1973) when I married my husband Dan. I had stitched four place mats and four napkins. Hopefully I will find the rest. They were put away into the storage box two house moves ago (over 30 years ago). 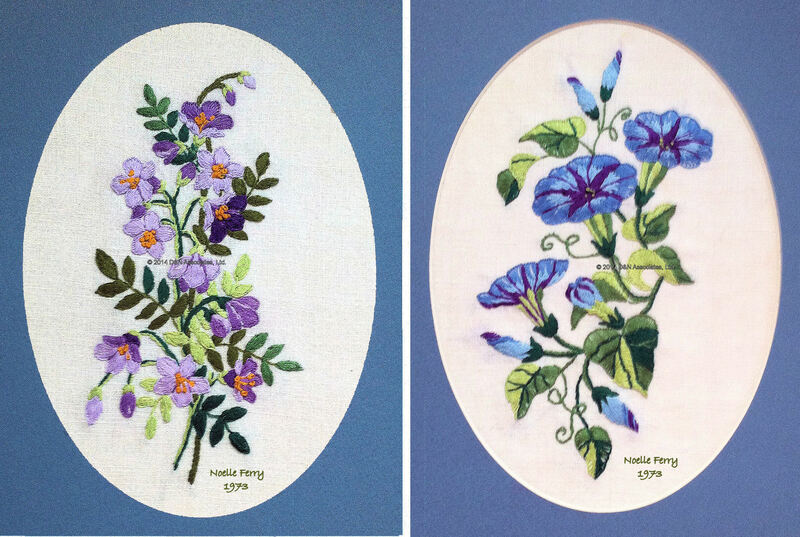 The placemats and napkins had ironed on designs which I stitched mostly in buttonhole (for the flowers). Shame they got stained and ragged from daily use, but today I cut the majority of the placemat fabric away, matted them and will display them unframed, sitting on bookcases, casually leaned against the wall. February 2015 I found the four napkins (of course stored away for safe keeping!). I was quite delighted to find that though there were stains on them that I was lucky that the embroidered areas were free from stains so I cut away most of the place mat fabric and framed them. Recently I found the four napkins, near stain free around the embroidered areas. I cut them down, used 5 inch round embroidery hoops as frames. 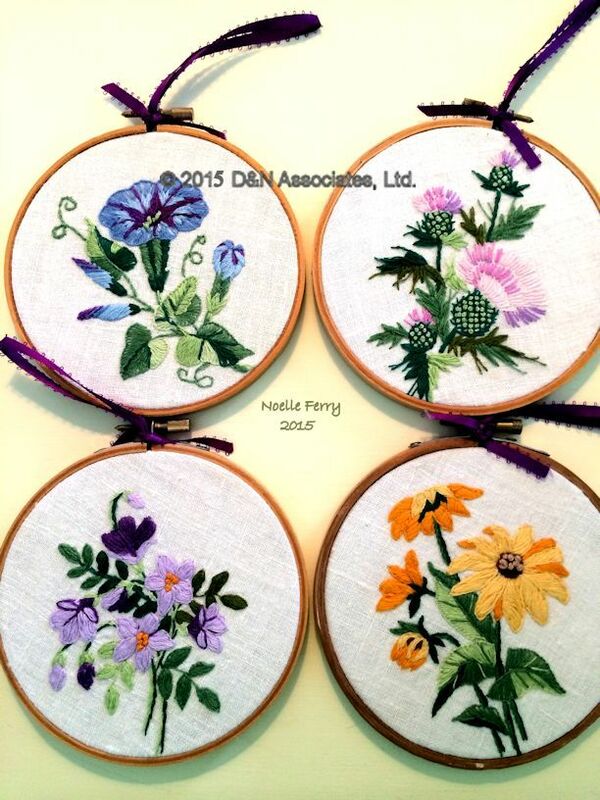 With a ribbon through the screw areas of the embroidery hoops I am now hanging these displayed on a wall in our dining room. I am still hopeful that I will find the daisy and the thistle place mats so I can frame and display them as I quite like these patterns.